There are almost 1 million mechanics working in the U.S. today. All of them are called on to take care of a variety of vehicle-related tasks on a daily basis. Some are asked to complete simple oil changes, while others are told that they need to rebuild transmissions. Some are hired to rotate tires, while others are paid to add new exhaust systems. But no matter the job, there are certain tools every mechanic should have. These tools allow mechanics to do their jobs effectively and also keep them safe when they’re working with heavy-duty auto parts. Here are the 10 tools every mechanic should have. The majority of the parts on the average vehicle are held in place by nuts and bolts. In order to remove them so that you can replace parts or make repairs to them, you’ll need a complete ratchet, wrench, and socket set. While there are plenty of these types of sets out there, it’s best to buy one that’s been specifically designed for mechanics. You want something that’s strong and durable enough to last you for a long time while you’re working on cars, trucks, and SUVs. You also want something that has a ratchet, wrench, and socket for any job. As an auto mechanic, you’re going to need to get used to working in very tight spots. You’ll occasionally need to use extension bars to tighten and loosen bolts with your sockets. These extension bars will allow you to get access to bolts that would out of reach otherwise. The problem with regular extension bars is that they can lose their grip on sockets and leave them behind once you’re done installing a part. Locking extension bars will do away with this problem and ensure that you don’t lose any sockets in the middle of a job. While locking extension bars will help you reach most of the bolts that are tucked away in tight spaces on a vehicle, they won’t be able to get to all of them. If you’re having trouble reaching a bolt in an area like an engine compartment, using a ratchet extender is your best bet. Simply attach a socket that fits the bolt on one end of a ratchet extender and attach your ratchet on the other end. You’ll then be able to use your ratchet like normal to tighten or loosen the bolt with ease. Have you ever encountered a nut on a vehicle that just wouldn’t come loose? Over the years, the nuts that are used to hold some car parts in place can get very tight. It can make it impossible to move them. That’s where a nut splitter will come in handy. In a matter of just a few seconds, you can split a nut and safely remove it from a vehicle without doing any damage to the bolt that was holding it in place. A nut splitter will be especially useful when it comes to working on older vehicles that may have rusted nuts all over the inside of it. Replacing the spark plugs in a vehicle is a relatively routine job for most mechanics. But if you’re not careful while doing it, you could potentially do damage to the spark plug wires. It’s why you should steer clear of using ordinary pliers to get the job done. Instead, you should opt to use spark plug pliers to safely remove wires from a spark plug before replacing it. It’ll prevent you from making an easy job more difficult than it has to be. When you’re tightening the nuts and bolts that hold a vehicle together, you want to be careful about making them too tight. You could do damage to parts or prevent them from working properly if you overtighten them. A digital torque adapter will make it easy to tighten nuts and bolts. Just set the torque for a specific part and start cranking, and the adapter will let you know when you should stop. Performing an oil change is one of the most basic jobs a mechanic can do. But that doesn’t mean they can use just any old tools to do it. To remove an oil filter from a vehicle so that an oil change can take place, there are tools every mechanic should have. One of them is an oil filter wrench that is used to remove and replace oil filters. Without an oil filter wrench, it’ll be tough for a mechanic to loosen and tighten oil filters safely. It should be close by whenever an oil change is set to begin. Over time, the radiator and heater hoses underneath the hood of a car can get stuck to the pipes they’re connected to. As a result, mechanics often have to spend a lot of time trying to remove them without doing any damage to the hoses. Hose removal tools can make the job much simpler and save a lot of time. They slide under a hose and help a mechanic break the bond that’s formed between the hose and the pipe. In just a few seconds, the hose will be loose and it won’t be damaged at all. Some mechanics will use flat head screwdrivers to remove things like door panels and dashboard parts from a vehicle. And while the screwdrivers will usually do the trick, you run the risk of damaging parts by using them. Instead of going that route, you should invest in pry tools that will help you safely remove paneling and other fragile parts from a vehicle. You’re not going to be able to make any repairs to a vehicle if you can’t see what’s happening underneath the hood. Fortunately, you’ll have no trouble illuminating a vehicle with a cordless underhood work light. The latest work lights contain LED lights and have a battery life of up to 8 hours. They will make your life a lot easier when you’re trying to shine some light on a problem under the hood of a car. These are just some of the tools every mechanic should have. If you want to work as a full-time mechanic, you’ll likely need to invest anywhere from $25,000 to $50,000 to purchase all the tools you’ll need to do your job. You’ll also need to keep service repair manuals handy so that you know how to fix any car. 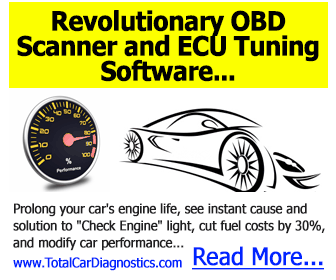 It’ll cut down on the amount of time you need to spend troubleshooting an issue with a vehicle. Check out our blog for more vehicle maintenance tips. Previous Post:What Happens to a Title Loan if My Car is Totaled?